We’re called a Collective for a reason. 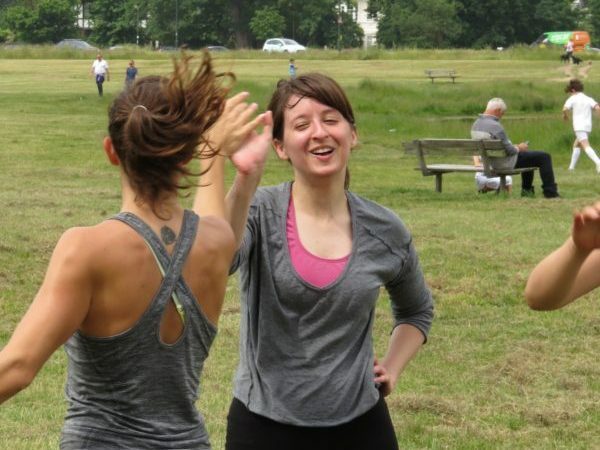 When you show up to bootcamp (or any Fit Brit Collective class or workout), you are attending a fitness family gathering. You might work alone, in pairs or in small groups, but whatever the format you’ll receive constant support from your family, and will be returning that support to everyone around you. Remember, sometimes this takes the form of encouraging words or the extra motivation of moving in unison with your partner, and sometimes this means inflicting revenge on your workout buddy when it’s your turn to put in the effort. 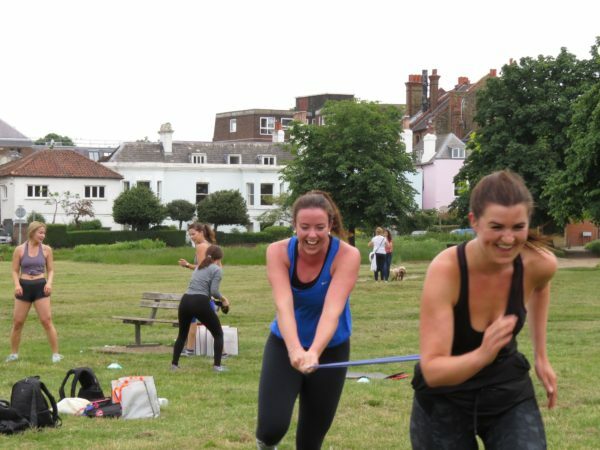 Liz and Emily (below) were all too happy to ‘encourage’ each other by digging in extra hard during these resistance band sprints last Saturday. We’re a loving crew, with an extra specialism in tough love ;). I say bodyweight ‘centred’ because I love equipment like kettlebells, slam balls, sandbells and resistance bands, but with every move I emphasise a core connection and body awareness to deepen the burn (and the benefits). You’ll do exercise with and without equipment, learning the importance of form, positioning and control in order to improve the quality of your exercise and the results that follow. It’s my hope that you leave every session feeling like you’ve learned something new, become more connected to your body and feel more confident about your next workout. Now don’t be scared by this heading. 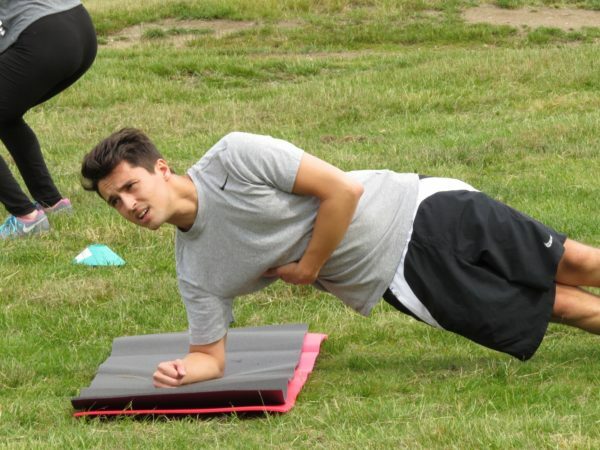 I won’t leave you lying immobile and sweat-drenched on the Common, but I do want to help you achieve the right effort level to make your last few reps of every exercise a genuine struggle. Ideally, we’re talking shaky muscles, an elevated heart rate and that mind/body battle where your unstoppable willpower ultimately helps you get through to the very end. Why? Because those final few seconds or reps – the ones you least want to complete – are the ones that have the biggest impact on improving your strength, fitness, stamina and performance. You’re coming to bootcamp for a reason, and we both know it’s not for a comfortable, easy workout. 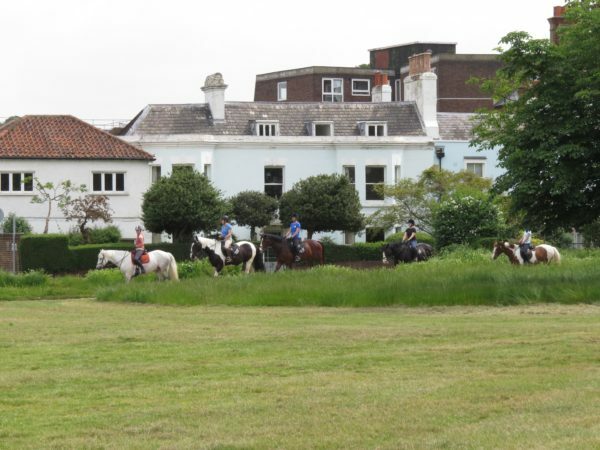 From the playlists, to the workout formats, to the exercise selection, to the scenery (horses joining in for bootcamp, anyone? ), right down to extra incentives and prizes when I’m feeling generous… I’m all about surprises, in every form and variation. Although I’m writing this post so you know roughly what to expect from these sessions, it’s only fair to warn you that you must also expect the unexpected. Every week I’ll keep your body guessing (which guarantees better results and helps you break past those niggly training plateaus). Plus, stay tuned for special collaborations, post-bootcamp brunches, Fit Brit Collective socials and plenty more surprises throughout the summer! Book your spot in advance for the next Saturday that suits you. 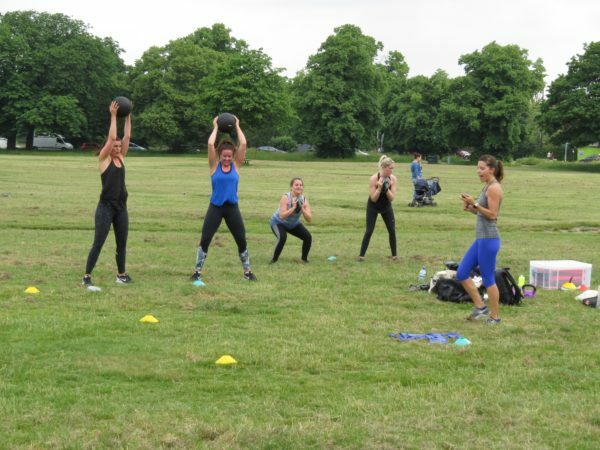 Make a date with yourself, commit to it, and get ready to start your weekend in the fierce & fun spirit of Fit Brit Collective Wimbledon Bootcamps. To book, email brit@fitbritcollective.com. Discount packages also available here. New to Wimbledon and have been slacking at the gym for probably a good year. Sounds like this is the sort of thing I need to help me turn that around. Is it possible to book a spot for this Saturday 9th? Welcome to Wimbledon! I only moved here myself last autumn but already I absolutely love it! Great that you’re keen to give my bootcamps a go. Happy to confirm your place this coming Saturday July 9th. Look out for an email in your inbox with a quick form to fill in before then. Thanks!